The main task of a honey processing business is , and this can be converted into a business where the beekeeper can earn via this activity. Indian bees give honey which is extracted with the help of latest honey extraction method. This business can be initiated at any place but make sure that the bee insect is available for more than six months in the place. The honey collected has hemophilic yeast that results in the fermentation of the honey. Therefore, it is necessary for the honey processing plant to maintain the quality of the extracted honey. So, it also indicates that effective processing of the honey is essential to maintain both the quality and quantity of the honey. The details of the honey processing business have been illustrated. Honey is used as a dessert, and it also helps in the preparation of confectionery for several years. Several applications have come up in the honey processing industry. In addition, honey can also be used in preparing the Ayurvedic medicine. Similarly, there are other home remedies in which honey is used such as cough, and thus, honey is considered as an important ingredient in cough syrups. This is also used when dieting. You will also find honey as an ingredient in some lozenges. As you start to explore the international market, you will find a lot of demand for good quality honey, and therefore, it is evident that there is potential to earn foreign currency by expanding by honey processing business in the country. When entrepreneurs start with the honey processing business, in order to make market for the same, they can take ideas from the food processing, Ayurvedic, export market. In order to grab the attention of the customers in the international market and retain the same, it is essential to have a good quality of honey to carry out the processing. When the products are being sent to other countries, it is necessary to check the quality of the product along with pesticides and insecticides which are present in the honey. In addition to this, it is often seen that the countries that the entrepreneurs are trading with, look for the certificates in order to ensure that the honey is taken from authentic sources. So such a system has been introduced that can monitor the quality of the honey for the exporters. Honey is collected by the tribes, and it may not be suitable for exporting to foreign countries. Thus, the honey processing method is important to be undertaken before it is packed for exporting. Apart from being used in the international level, it is also used as product in confectionery, cosmetic and pharmaceutical products. Thus, the demand for products like honey is increasing day by day and people are in demand of good quality honey. In this relation, China is one of the leading honey producing countries and in this way it is one of the largest exporters of this product. Due to increasing awareness about health among the people, honey is becoming one of the healthy foods, and the domestic demand for the same is sure to increase in the future. What are the raw materials and machinery required for the business? 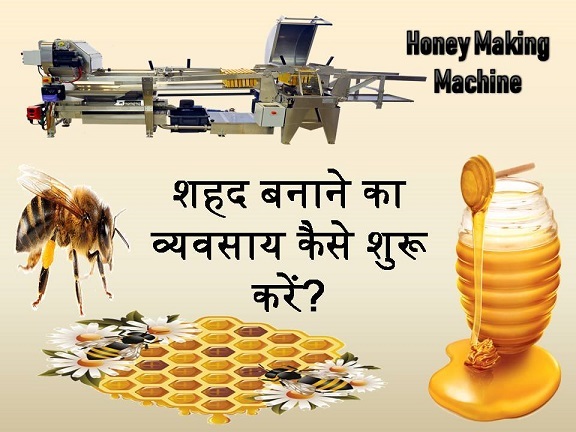 It is known that almost 30 to 35 lakh rupees are required in order to start the honey processing industry and with half of this amount, the entrepreneurs can buy the machinery for the business. Some other machinery required in this business is enlisted in the following part. Storage tank is required which will cost near about 5 lakh rupees. A honey processing machine is important to set up that will cost near about 1.2 lakhs. Honey handling tools are required that will amount to almost fifty thousand rupees. Some other utensils include honey drying, honey filling utensils, and bottle washing items that will cost near about 1.5 lakh rupees. How is the money processed? The beekeeping farmers or the entrepreneurs are responsible for storing the honey, and the honey is collected from them. After this, the quality of the honey is inspected for the presence of chemicals pesticides and insecticides. After the completion of the inspection procedure, the honey is ready to be processed, and thus it is put inside the processing plant. When it is put inside the machine, it becomes thick as it removes wax and moisture from the honey. After processing of the honey, it is put in a wide-mouthed bottle and sealed completely in order to retain its smell. After this, the honey bottles are dried and then labelled according to the need. How much investment is required to start the business? 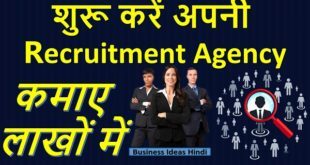 The cost of the business can be estimated to be around 35 lakhs in case the entrepreneur does not buy the land and instead take it on rent in the initial stage. Some other related costs to the building are described further. Cost of buying the land for the business can be around 5 lakh rupees. The cost of constructing the building can be also similar to the cost of the land. For machinery and equipment, near 15 lakhs should be set aside. For water and electricity connections, 1 lakh rupees are enough. Some expenses should also be estimated in buying different tools pertaining to the business before the entrepreneur starts the business. Thus, when planning to start with honey processing business, it is important to seek FSSAI license that will help in the smooth running of the business.